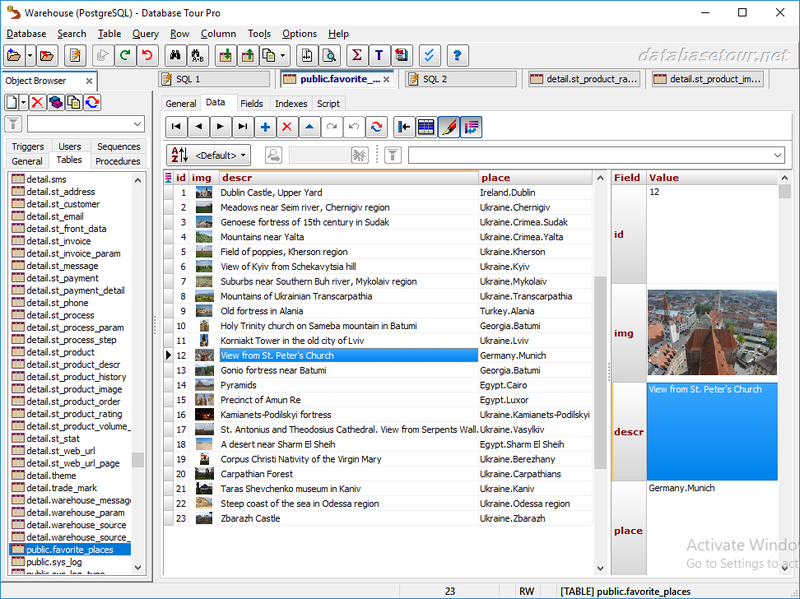 Database Tour is a multi-functional database tool for Windows. 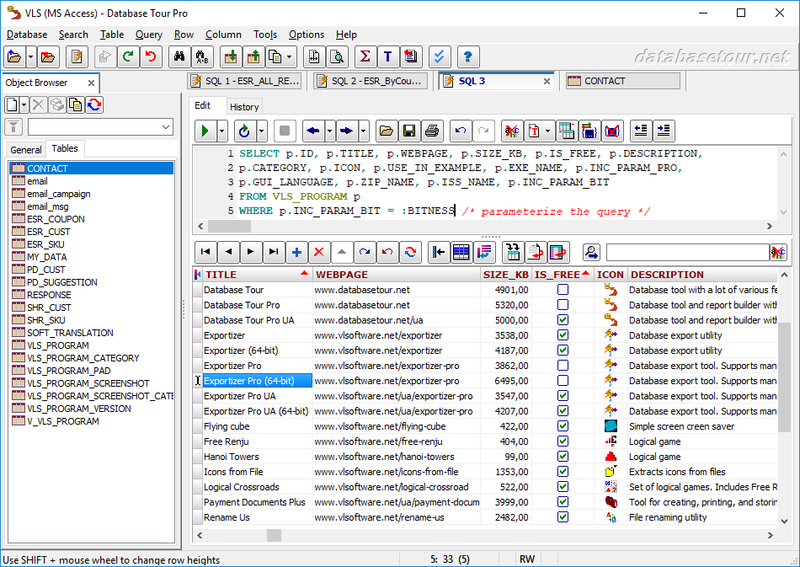 In addition, Database Tour Pro provides powerful command line and reporting functionality. Here are some fields where Database Tour has competitive advantages among database tools in the marketplace. Support for all major database types like ODBC, SQL Server, Access, Oracle, PostgreSQL, SQLite, Firebird, Interbase, Excel, Visual FoxPro, dBase, Paradox, CSV, MySQL, DB2, SQL Anywhere etc. Highly customizable export output to Excel, HTML, SQL script, DBF, CSV, and more. Copying data from database to database, for example, Access to Oracle, SQL Server to PostgreSQL, SQLite to Firebird etc. 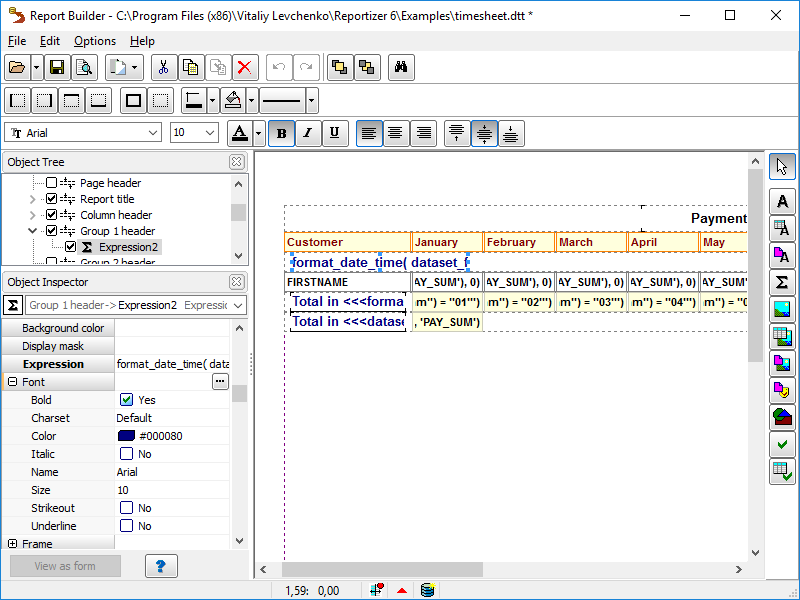 SQL editor with syntax highlighting and Ctrl+clickable objects. Executing multi-statement SQL scripts. SQL query statistics. 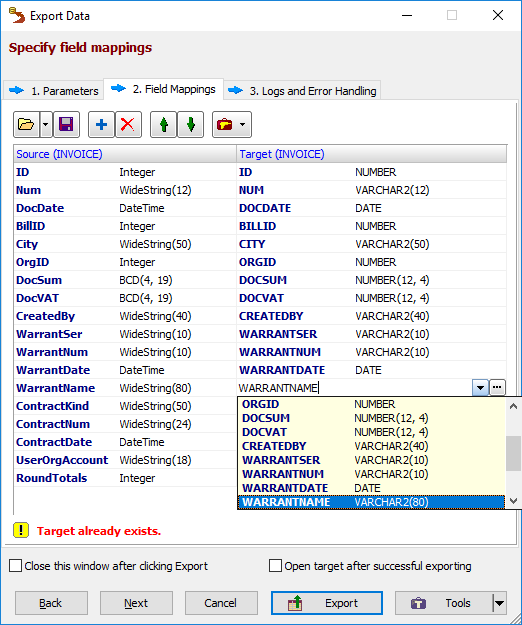 Performing useful operations with databases, such as searching and replacing text, batch data processing etc. Database Tour data grids give you the ability to view CLOB/MEMO (large text) and graphic data, expand rows, use autoscrolling, sorting, selecting group of records, copying data etc. Data in tables can be highlighted depending on its content (so called conditional formatting). There is a tool for working with BLOB fields, such as large text and graphics. Large number of operations can be performed from the command line (mostly in Pro version). This allows using it in batch files, schedulers, and in calls from other programs.